What if you could help your kids eat healthier by simply changing how you present food choices to them? Would it surprise you that there is a whole science devoted to studying people’s responses to food? Brian Wansink, director of the Food and Brand Lab at Cornell University and John S. Dyson Professor of Marketing in the Applied Economics and Management Department, has conducted numerous studies concerning the connection between the environment/visual stimuli and food consumption. We have taken his research findings and broken them down into practical tips you can use with your kids. We have already applied most of these tips with our own kids. 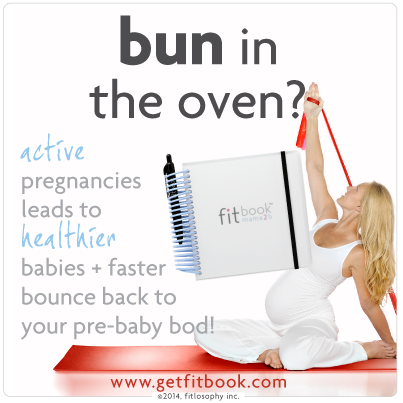 So you can trust us when we say that actually work! Adjust plate and utensil size to control calorie intake. It’s a proven fact that when our meals are served to us on larger plates or spoons, we eat significantly more calories–28 – 53% more! So, to encourage healthy eating, try serving healthier foods on larger plates. This works the other way too. For instance, to control the intake of unwanted sugary calories, like ice cream, try serving your child a single scoop in a small bowl with a coffee spoon stuck in the middle! We use condiment cups or small ramekins to serve ice cream. One scoop looks like a lot in these! To control portions, fill the dinner plates before placing on the table. If your family struggles with overeating and already has weight issues, this trick is really key. Never leave the main serving dish in the center of the dining table. Leave it on the counter or put it away for next day’s leftovers. This simple trick helps to remove the temptation for a huge second helping. Out of sight, out of mind. To control snacking calories, never allow kids to snack out of the main bag/box. It’s proven that when we snack out of a large bag of chips, we tend to eat more. However, if we are limited to just a few at a time, our cravings are satisfied and we tend to eat less. So, for kids, be sure to make up small snack bags ahead of time and keep them in your pantry. Keep a bowl of fresh cut-up fruit or veggies in the center shelf of your fridge. Brian Wansink found that people will eat 29% more fresh produce this way! I have already found that my kids eat healthier snacks this way. If I cut up veggies before they get home from school and leave them precariously on the cutting board (like I forgot they were there), my kids will ‘snack’ as they walk by. Make vegetable snacks easy to find and access! Make the healthiest foods the first things kids see and eat at mealtimes. A study was done on ‘trigger foods’ that found the first food people saw at a buffet influenced what they took. Those who saw the fruit first, took more fresh foods than say, the bacon and eggs. So, serve the vegetables first, then bring out the pasta as the second course. Serve on fancy plates to make the food tastier. Ever heard the phrase, “presentation is everything”? There is a lot of truth there! A study showed that when people were served a brownie on Wedgwood china, they rated it as tasting better than when the same brownie was served on a paper plate. This trick is especially good for picky eaters or when introducing a new food. Break out the china and fancy napkins! Create a relaxing mood to help everyone eat healthier. Turn on some quiet music and dim the lights for dinner. The more relaxed our environment, the slower we eat, the more we enjoy the food, and the less calories we consume (up to 18% fewer calories). This is one of our kids’ favorites at home. They love when I break out the candles and the music, and I think it makes them a bit calmer at the table too! No one enjoys eating in a stressful environment. Any other tricks to help your kids eat healthier? Share them with us below! Wansink, Brian. “Fooled by Food: How To Trick Yourself Into Eating Less.” Interview by Bonnie Liebman. Nutrition Action Healthletter 40, no. 3. Center for Science in the Public Interest, April 2013, pp 3-7. Great suggestions! I am glad that you are sharing these wonderful tips. It is important that healthy eating habits are established when kids are young. While all of your points are extremely effective, I would like to add that parents need to lead by example too. Action speaks the loudest. We do the right things, kids learn from us. Once healthy eating (and other) habits are established, they are protected from other less healthy ‘social trends’ like eating junk food and drinking alcohol in future. Absolutely right, Viola! A parents’ habits will most certainly be passed on to their kids–for good or bad. 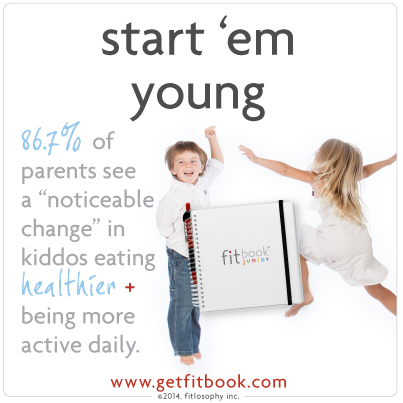 Healthy habits must certainly start with us (as parents) first. Thanks for commenting! Love your tips Bonnie! Especially leaving cut up veges on the cutting board so “kids will ‘snack’ as they walk by” and “make up small snack bags ahead of time” of chips etc. These will work big time. Thank you! Thanks for your comment, Sigrid! Glad they were helpful for you. Great ideas, Bonnie! I am lucky in that my two girls love “healthy food” as they call it. Just the other day my husband stopped one of them cause she had about 2 dozen or so cherry tomatoes craddled in her shirt. That is a lot for a 6 year old! But not a bad problem to have. There are some ideas I can use. The girls do like chips & candy too. Keeping them from eating out of the bag is a great idea! Love your post it really makes a lot of sense. Kids definitely prefer chopped up foods than say a whole apple it just looks easier to eat and then they will most likely eat all of it. The china idea is good. I must admit even as an adult if something is presented well I am more likely to eat it than if it is just chucked on a paper plate. Brilliant idea about leaving the carrots etc on the chopping board those little ones just can’t resist. Ha Ha. I love reading all these great tips and research. It’s so interesting. One thing that we have found is that our children respond to us and the emotion in which we present the food. Of course the opposite works as well. If we turn up our noses at spinach, then our children will too. All 7 tips you gave, are great though. Hey Bonnie, I’m going to point my daughter to this post. Her three year old is going thru the ‘don’t like that’ stage. I did notice that he was very excited to use a ‘big people page’ at my house. Great tips. Awesome, Rachel! I’m glad it was helpful.